November does not have to be grey and sad! 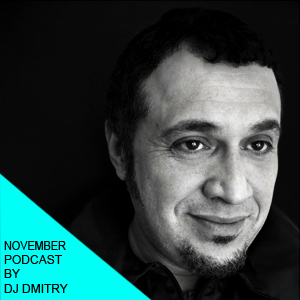 DJ Dmitry (Deee-Lite) has taken over the decks, just before shooting off to the US for a bit of touring, to show us a good time with a genre-hopping energetic mix with just the right balance of humour and Halloween spirit. The mix features The Ride, a song from Dmitry’s new Snapshot project, whose album is due early next year. Find out more about DJ Dmitry on Sceen FM. Book DJ Dmitry for DJ sets worldwide HERE.